At the moment, I am using the Midori Blue as my work TN. It goes with me to meetings, and I use it mainly for note taking and research more than planning. Here’s a closer look on how I set up this stamdard size traveler’s notebook. The first insert I have, which is also the outermost insert, is a Refill 007 (Card File), a standard size accessory that has 12 credit card pockets. On the front half I put a few sheets of post its (anchored on a playing card) and page flags, along with three plain paper clips. I have a Pan Am shitajiki, or pencil board, attached to the front of my first notebook with a small binder clip on top. I don’t usually use the pencil board, but I like to have it handy in case I do need it. Due to the sensitive nature of my work notes, I cannot show you the inside of my first notebook. It is, however, a standard size grid insert by Planners and Journals. I also have a few sheets of a larger post it stuck on the last page, as well as a few sheets of a long list pad attached with a binder clip. A small notation can be seen on the bottom corner of the notebook cover, to remind me of the insert maker. Next we come to my second notebook insert, which is just a plain white one that I made myself out of Bevenia Splendorgel paper (works great with fountain pens!). Speaking of fountain pens, I have a couple of bigger binder clips on the covers of both notebook inserts to serve as my pen loops. 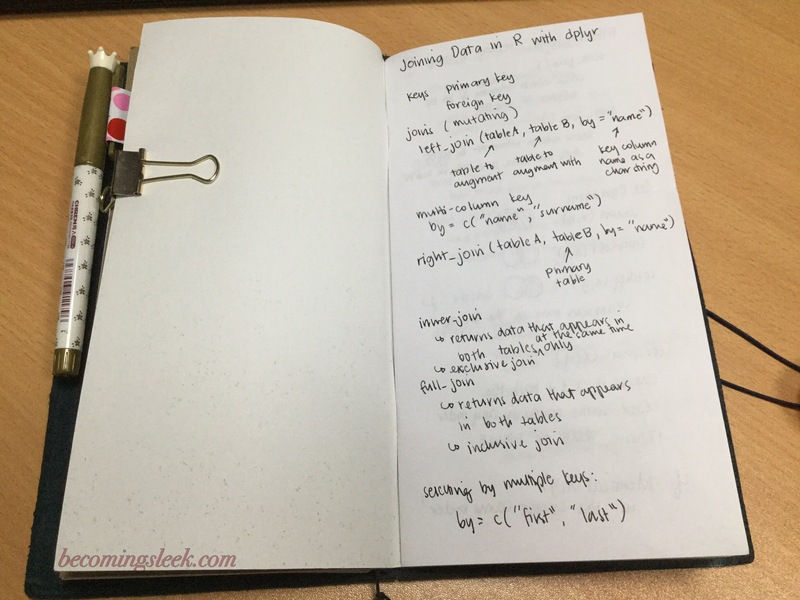 Here is a little peek inside the second notebook insert, which serves as my notes taker for learning the statistical programming language R. As you can see I write very rapidly here so the handwriting is not really my best. 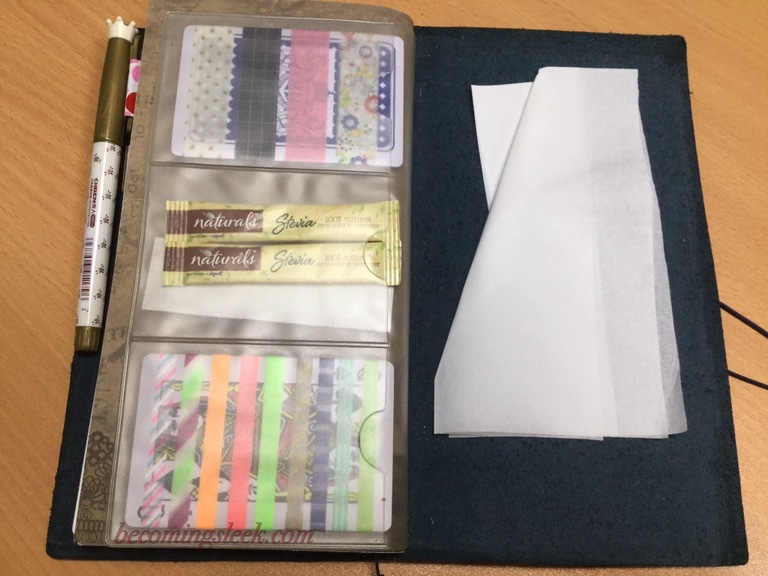 At the back is the second half of the card file refill, which holds some washi samples, an emergency supply of my preferred sugar substitute (for those impromptu coffee meetings! ), and a band aid. I also like to keep a few sheets of tissue paper here just because I like to be prepared, and it doesn’t add much to the weight. And there we have it! My work TN is very simple and practical, and I’ve been using this setup for several months now. My family went on a very delayed beach vacation to Mactan, Cebu last weekend, and as per my habit I take photos of what I took with me in the stationery department. While I had my Hobonichi Weeks and my TN Wallet as is expected, I also brought along my Chicsparrow Outlander with journal inserts as well as the Midori Mini. I felt that I wanted to journal while at the resort, and I wanted TNs that could stand the rigors of travel. My pencase contained only regular and brush pens, because I did not want to have to worry about fountain pens and flying. I brought along my cute little Crayola gel pens (which did not get used), a Sharpie (also unused), a Coleto (unused), two dual-ended markers, a brush pen, and a mechanical pencil. The rest of the case contained much of the same contents as in this post. I’m glad that I actually did get to journal during the three-day vacation, and even while waiting for our delayed flight. Having a journal is really quite handy and comforting! Along with the 10th Anniversary Tin, I also got myself a Traveler’s Notebook in Passport size in the newly released regular color, Camel. Camel had once been a limited edition color, and was released in the 5th Anniversary of the Traveler’s Company (the edition was also called Star Ferry). Since then, the Camel has been a much sought after color and I did not at all think I would be able to get one. Fortunately, Traveler’s Company added the Camel color in their regular lineup (along with the Black and the Brown), so I was able to get myself one. I chose the passport size because I’m really more of a tiny TN girl and my two regular Midori TNs (Black and Blue) are already more than enough for my large TN needs. The Camel color is a really nice caramel looking shade. The leather is quite similar to the other colors, and as with the Brown, it retains scratches quite easily. Some are disturbed by this, but personally I am happy that my TNs obtain some character as they age. The enclosing elastic is basically the same shade as the TN. The stamp at the back now reflects the new branding of the Traveler’s Company. The enclosing elastic of course still originates from the back. Here is a shot of the whole leather. As you can see, it already has so many marks from the non-careful way I’ve been handling it. Here is a shot of the inside of the leather. The feel of the inside is quite suede-ey, and also retains scratches easily. 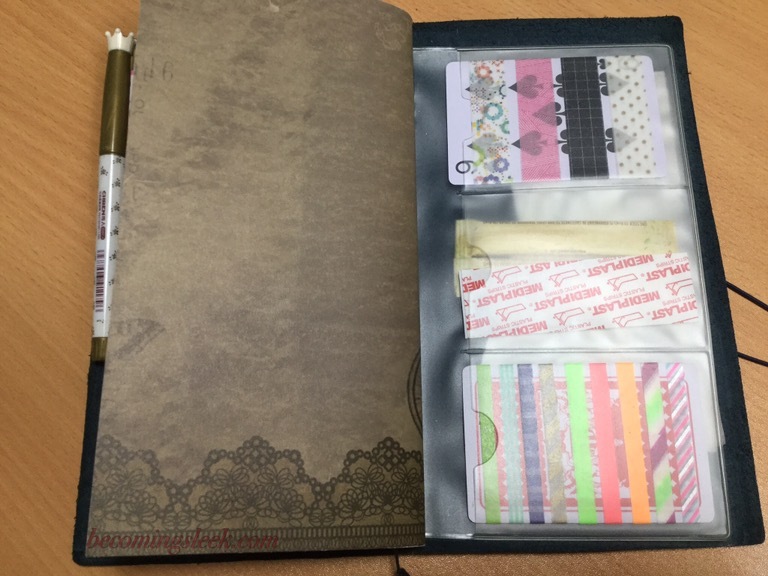 There is still the included bookmark, and the stringing of the inside elastics is still the Midori style. Here is the Camel side by side with my older passport, the Brown. As you can see here, the Camel color is really so much lighter than the Brown, and is not as similar as I had originally feared. I have not changed the enclosing elastic of the Camel, but I probably would soon as I like the contrast like the one on the Brown. Here is another shot of them together. The Brown is really such a dark shade that beside the Camel it appears almost black. I’m really looking forward to spending a lot of time with my new Camel passport TN. I even put in some of my pocket sized inserts even though it shows at the top and bottom. Again, I got this and the 10th Anniversary Tin from Crafty Lane on preorder. There has been a lot of buzz around the 10th Anniversary of Traveler’s Company, formerly branded as Midori. The two main releases here are the Camel color (then limited edition, now regular color of the passport and regular size traveler’s notebooks), and the limited edition Tins containing the traveler’s notebooks in the Mini size. I got both, but let me show you first the 10th Anniversary Tin. I got the blue tin, which contains the Camel Mini. The tin itself is a marvel! It is beautifully and tastefully designed. When empty it’s really light, and the blue color is quite striking. The tin is just the right size to hold regular sized refills as storage, which is awesome. Upon opening, we are greeted with the one below. 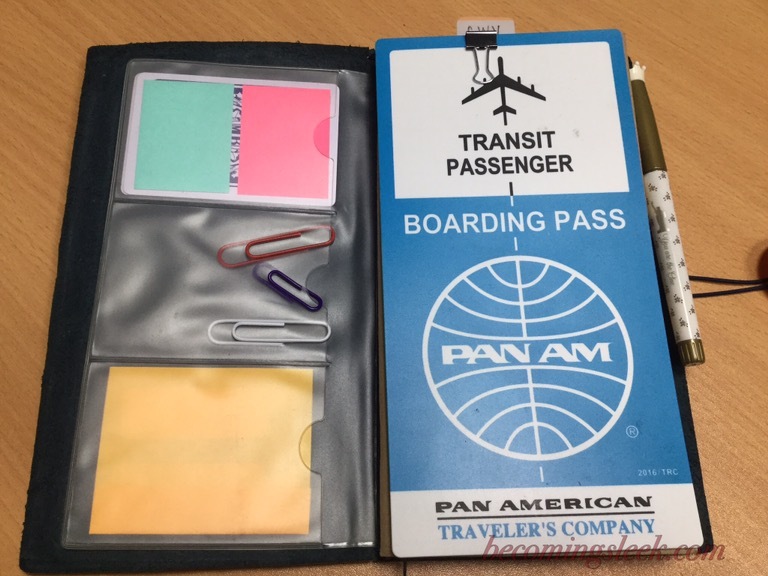 A plastic insert cradles three items: the actual traveler’s notebook package on the topmost, a matching TN charm in the middle, and some papers to make actual refills on the bottom. Underneath the insert are the following: a specially made postcard self-addressed to the Travelers Company giving access to the 10th Anniversary Raffle (one of which prizes is the super rare White TN), a poster of the history of the company, an assembly guide, and a sheet of 10th Anniversary themed stickers. Here again are the three contents on the plastic insert. I included a Pilot Coleto for size reference. You can see just how small the Mini TN is supposed to be! Interestingly, the package of the Mini is the exact same as that of the regular sized package, down to the cotton bag and paper flier. Inside the cotton bag is the actual Mini TN. The Camel color is gorgeous! It’s quite lighter than the brown Midori. It is stringed in the exact same manner as the regular or passport size, and the charm looks perfect in the band. The string hanging out from the top is supposed to be used to anchor the TN, to be used as an actual charm itself. I assembled a few of the refills, and each refill has 5 sheets of paper, a cover with the Traveler’s Company logo, and a heavy kraft cover. The refill fits perfectly in the TN. The back of the refill has the exact same details as the regular and passport size refills. I of course experimented and found out that 2 refills is the perfect amount that the Mini can hold. Three is already overstuffing it, and begins to show overhang. How stuffed can a Midori Mini get? I tried 3 inserts in it and it became quite fat with a bit of overhang. Maybe 2 is the sweet spot! Here is the Mini beside the passport (also Camel!). As I said, the Mini is ridiculously tiny, and is really meant to be a charm itself. The Mini on top of the Passport. My Camel duo. The Midori Mini is ridiculously cute! Thanks @craftylaneph for the transaction! Here is the Mini acting like an actual charm. My Camel Mini on my Jitney! I preordered my Tin and my passport Camel from Crafty Lane. The items arrived after about two weeks. I really love this Mini even though to some degree it feels quite expensive (it does not cost too far away from a passport size). I attribute it to the fact that it’s a Limited Edition item. Something completely different this month compared to February’s! 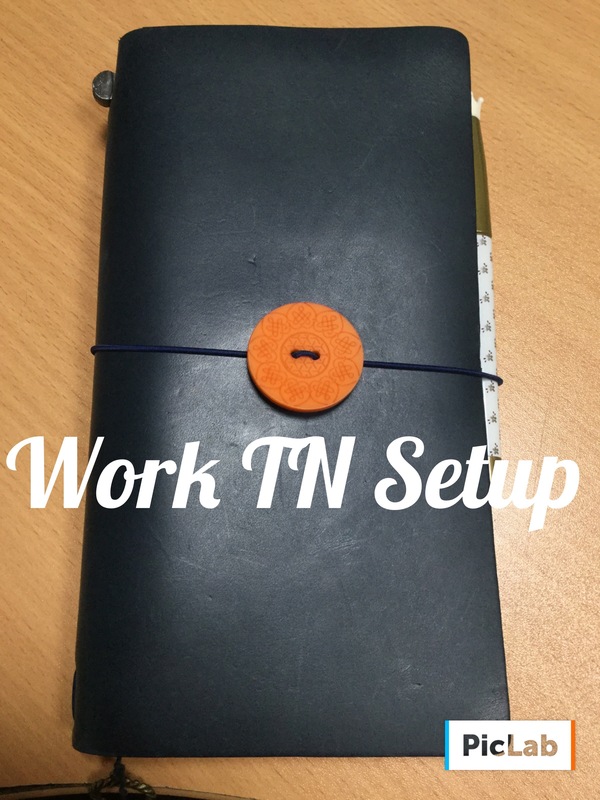 Since I’ve received the SLC TN Wallet a few weeks ago, I immediately moved in and it became my wallet and portable notebook that I always keep in my purse. I also got myself a Hobonichi Weeks at around the same time, and moved into it as well as my planner. 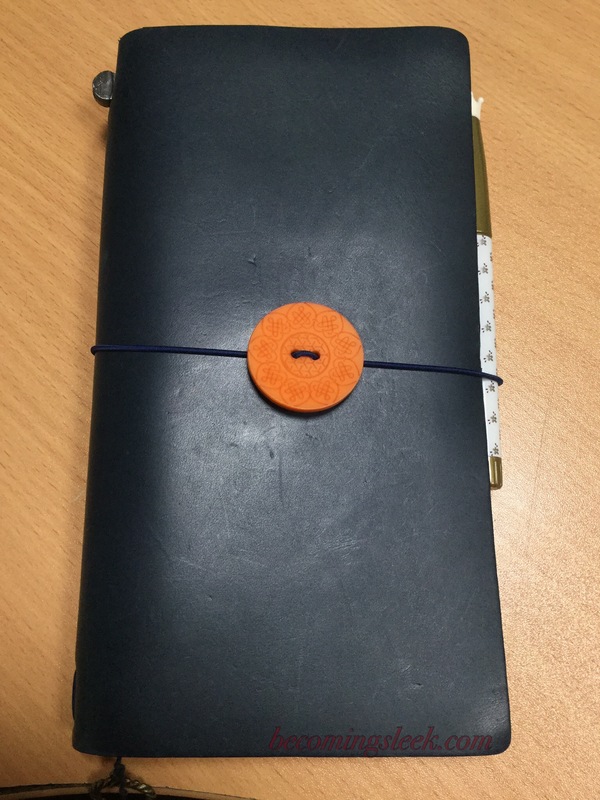 The thinness and almost weightlessness of this planner made it possible to keep it with me all the time in my purse, which is how I really prefer it. My pen case remains the same, but my TNs have changed. I’m now carrying the Chicsparrow Pocket Outlander in Jitney Red and my new Midori Passport in Camel, both of which are holding my active pocket notebooks. I like how my EDC have changed. The variety of it keeps me entertained, and I get to rotate the TNs and give some of them a rest. I am certainly very pleased with the ones I am currently using. There are of course still that urge to try something new, or to revisit something that one hasn’t used in a while. This results in differing EDCs, and here is what I used for most of February. From just a single TN last month, I’ve moved to a two-TN carry for my purse. I use my Gav and Sav Pocket TN in Cat Print as my wallet and my Zenkraft Red Zebra Micro TN as my portable notebook. To be honest, I suppose I could have used just the pocket TN and threw in a pocket notebook but I wanted to see if the micro TN is something that works for me. I paired the micro TN with a Pilot Petit fountain pen, in red of course, and it fits just right into the edge of the notebook. I had finally finished the last pages of my standard sized daily journal insert, and moved into a new insert but this time pocket sized. That allowed me to consolidate all of my currently used inserts into one pocket TN – the one I chose for this month is the Speckled Fawns Rustic Kodiak TN. I’m also still using the Hobonichi as my daily planner, but I decided to give the Zenkraft A6 cover a rest and got myself a Hobonichi brand cover from CraftyLane. I wasn’t sure I would like it, but so far it’s working for me. To keep the cover closed I used my Coleto pen, which I also got from CraftyLane. 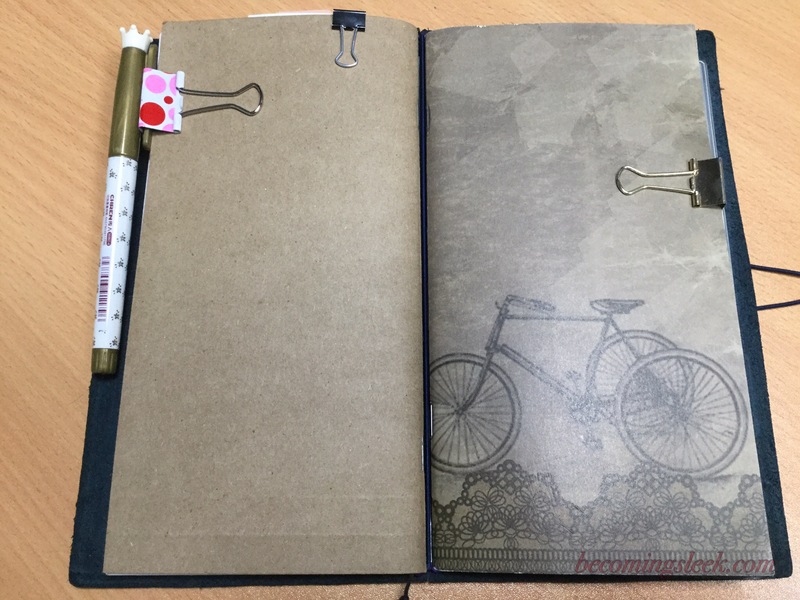 I will be sure to write about the Hobonichi cover and the Coleto pen in separate posts. I also changed my craft case! I found that my biggest and fattest pen, the Lamy Al-Star Blue Green, does not fit comfortably in my old case and I really wanted to use this FP again. Luckily I was able to find a new pen case in National Bookstore that has bigger slots for pens. I stuffed everything in here and it seems to be working well for me. Again, I’ll write a separate post showing you all about this pen case. There is not really a lot of difference in the TNs I use in the office, except I switched out the blue Midori cover for the black. The black is newer, and I wanted to get a bit more use out of it. I’m starting a new blog category called EDC, which is the acronym for “Everyday Carry”. It’s a very popular topic that discusses things like knives, wallets, pens, and things that are usually found in trouser pockets. My twist is of course, the traveler’s notebook version of EDC. Mine will be divided into the three areas where my current in-use TNs are: my purse, my work bag, and my office desk. I wanted a way to track the TNs (and accessories) that make it to my current rotation, and I intend to have an EDC post towards the end of every month. My purse currently only carries one TN: the PnJ TN in pocket size. It holds my usual wallet inserts, plus a thin passport size insert for random note-taking. My pen that goes with this TN is a white Parker Jotter that is engraved with my name, which was given to me for christmas by a friend. I like how light this makes my purse, and I don’t feel any strain on my shoulders even with long periods of carry. My work bag is a gigantic purple bag by Beabi (the exact model is the Birmingham). In it I carry the following: my craft case which holds various pens, stickers, and other small stationery items; my Red Macata, which holds my current pocket inserts; my Zenkraft Rustic Roadie A6, which holds my A6 Hobonichi 2016; and my Gav and Sav Clock Sewdori, which holds my daily journal. These are really heavy, which makes me glad that I have my purple Beabi Birmingham to hold it together. Lastly, these two TNs are left on my office desk as they don’t really need to travel with me everywhere. I know that it’s stretching the EDC definition by a bit, but I’d like this to be a place to share my current TNs in rotation as well. On my desk are the Blue Midori which I use for work notes, and the Gav and Sav Hearts TN in A5 which holds my work log. It’s been about 9 months since I first got my first Midori, and I wanted to show you how they look like now. My first Midori was the brown passport, and it’s roughly 9 months old. It’s been used on and off, and definitely used in the rough manner I usually treat my notebooks and wallets. What that means is that I just toss them into my purse, and grab them whenever I need them without regard to whether I am bumping or scratching them. This is one of the main criteria I use to choose what TN I use, if they have the ability to withstand rough handling. 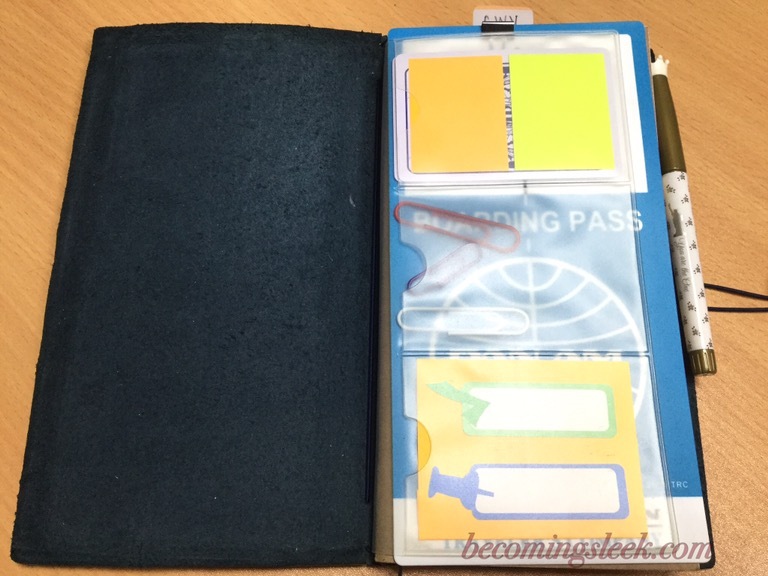 Check out how my Midori passport looks like now. The marks of the rough handling can be clearly seen, but the actual surface isn’t rough or deeply gouged. The feel of the leather is almost smooth, and the color has deepened a little after 9 months. The back shows the same amount of roughage. An interesting note here is that this still has the Midori branding on the lower left. Here’s a closer look at the marks on the front. My next Midori acquisition was the limited edition Pan-Am, which I affectionately (and uncreatively) call Blue. This is about 6 months old, and has been used relatively frequently as well even though it does not go with me in my purse because of its size. Of my three Midoris, this is probably the one that is most resistant to scratches. It’s still quite smooth, even though I’ve handled it quite roughly. The back shows the same amount of wear. This limited edition one has the new branding, Traveler’s Notebook, instead of the older Midori one. Here’s a closer look at the scratches at the back. My newest Midori is the regular sized Black, which is about 3 months old. This one is honestly the least used, not because it is the newest but because for some reason I feel a reluctance in handling it roughly. It’s an irrational feeling, but I’m a little bothered by the marks left by my charms here on the front. The rest of the notebook is otherwise unmarked. The back has barely any marks. The branding here is the old one, which leads me to believe that I got one of the old stock. Here’s a closer look at the marks left by the charms, which bothers me so much. It’s really irrational, because it’s made with the same quality of leather as the other two and should be just as sturdy. Additionally, Midori TNs are known for showing wear very nicely, so I really shouldn’t be bothered this much. There we go, my current crop of Midori TNs a few months after they have been purchased. I don’t think I will be getting any more Midori TNs, unless they come out with a different leather color or maybe a good anniversary edition next year (2016). If you are not yet aware of what a Hobonichi is, do take a quick look at this link for a primer. Go on, I’ll be patient. Ok, now that you’re a bit more familiar with a Hobonichi, I’d like to say that I’m very tempted to take the plunge and check out this system. My primary motivation is being able to try the Tomoe River paper that it is made of, as I’ve heard many great things about it. I’m thinking about checking out the A6 size. 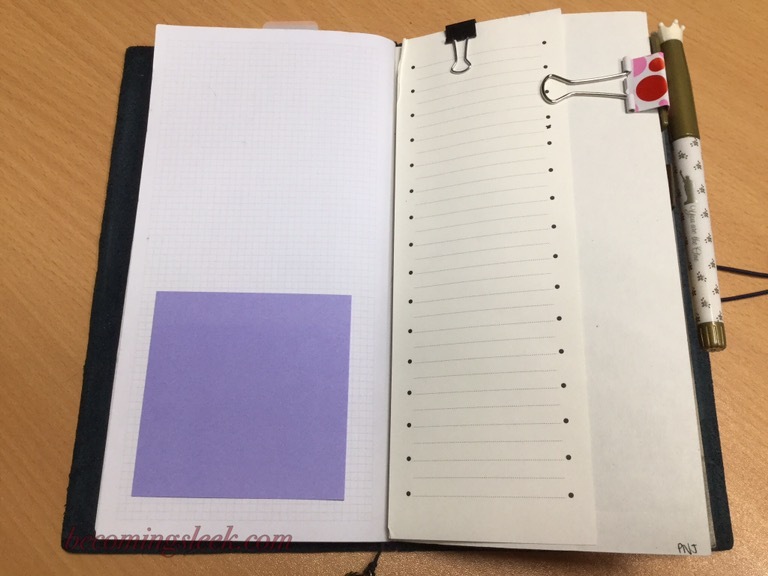 The thing to note about the Hobonichi A6 (and the Cousin too) is that the planner is laid out in a day-per-page format, and it’s basically just a blank page. It’s definitely going to be quite different from what I’ve been doing so far, and I haven’t at all tried a day-per-page planning. Strangely enough, there aren’t really a lot of resources about using the Hobonichi as a planner. Definitely there are lots of examples of it being used as an art journal, daily journal, junk journal, basically journaling stuff. I was quite happy to find a detailed post about planning in a Hobonichi from Wabi With Sabi, and it gives me a bit more confidence in pushing through with trying out the system. Hobonichi isn’t cheap, though, so to doubly make sure that the system is something I can work with, I came up with a layout in a traveler’s notebook insert to help me “practice planning” in a Hobonichi-type system. I chose to work with a passport-sized TN insert, in this case the Midori Refill 003 (blank pages), as I thought this would be closest in experience to the A6 size. The basic idea, of course, is to have a day-per-page layout. Prior to those pages though, I drew in a monthly calendar. I have done something like this for October, and it’s a no-brainer doing the same for November. The actual bulk of the planner is the day-per-page system. The actual Hobonichi planners have a grid on each page, but since I’m working with a blank insert I just chose to label the date, month, and day of the week on the upper left corner of each page. Honestly this is the part that’s giving me the misgivings, because there’s no structure at all and it’s basically anything goes! And the A6 is going to be much bigger than this! I’m super excited to try this out though! I like planning challenges, and this is definitely going to challenge me. Most definitely the main objective of this insert is to help me find out if I can plan with a Hobonichi A6, so I expect there will not be a lot of decorations. If there are left over space after the planning is done, that would be the time I can let myself put in my decorations. Have you planned with a Hobonichi? Do let me know how you did it!